If eating is not the same as eating well ... in Goteo we think that the same thing happens with reading. It is as important to do it on a daily basis as to know what is most nutritious for our good feelings and ideas. That is why we help to co-finance those publications that we believe encourage freedom of decision and thought. We offer ourselves to bring to light magazines and books that we may not find in large areas, but that take us beyond our closest circle to know, empathize and recover our connection with other territories and people. These are some of the campaigns that are active and in which you can collaborate today! Salvaje is the new magazine that wants to take you to the field. Who wants you to release your mobile, stop receiving notifications for a moment and realize that many of our problems, such as anxiety or stress, are fixed outside. 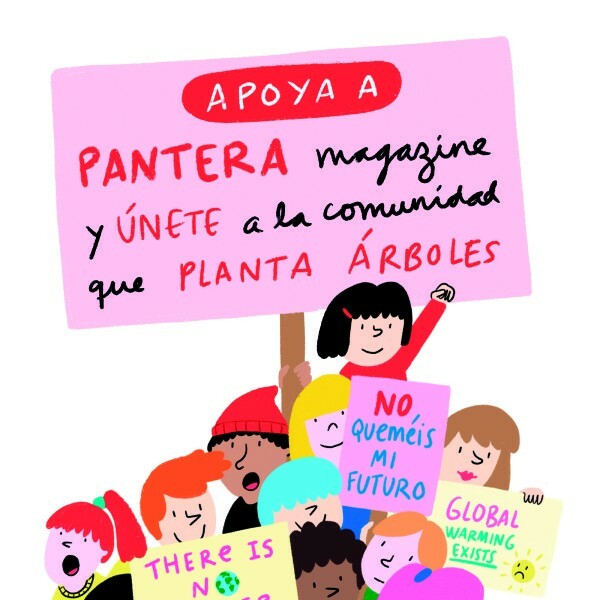 PanteraMagazine is the magazine for children that will save the planet! A magazine that was born to inspire young readers to fight against climate change. Also for parents, teachers, and all people involved with childhood and youth, have a space, a common reference to inspire and find their way of activism. León Luminoso, is a children's book for the prevention of child sexual abuse aimed at all adults who have their care and attention to children between 3 and 12 years, to those who want to accompany their emotional-sexual development. A story that encourages creating a space of trust and free communication, essential space to achieve empowerment and good self-esteem. We also have the solidarity campaign to raise awareness of hi little! Mediterranean Fragility to explain to early childhood, through books and T-shirts, what is happening with all those people who try to reach Europe from countries at war, crossing the Mediterranean in terrible conditions. Feminist Men (El Viaje) is a 160-page comic, available in its digital version for free download from the Cepaim Foundation website, in which it is proposed to be aware of the androcentrism in which some men are (we are) installed, and then try to abandon it. Think Global, Print Local: Thinking from the commons, a book to put into practice and explore the great tradition and the promising future of the commons, a self-organized social system for the custody and prosperity of our collective wealth. Markaz Tulkarem, a photo book that tells us about the Markaz Tulkarem club, a social, cultural and sports center in the Tulkarem refugee camp. This publication aims to show how the daily life of a refugee camp in the West Bank is and to live close to football away from the big spotlights, a type of football that in this case is an important pillar of the community. And well, there are many more publications that we would like to recommend, but until here we arrived, you sure have a lot (more) to read these next days! Oh! And happy Sain(t) George and Georgina! Goteo Crowdfunding System is een digitaal platform voor collectieve financiering, samenwerking en distributie van beloningen voor het ontwikkelen van sociale, culturele, educatieve en technische projecten die bijdragen aan het algemeen belang en die open source en open kennis zijn. Wil je geen nieuws meer van Goteo ontvangen? Je kunt de volgende nieuwsbrief blokkeren in het menu 'Mijn profiel > Voorkeuren' of Unsubscribe.